To Help You Find the Love of Your Life! Save a Life! Adopt a Shelter Pet! 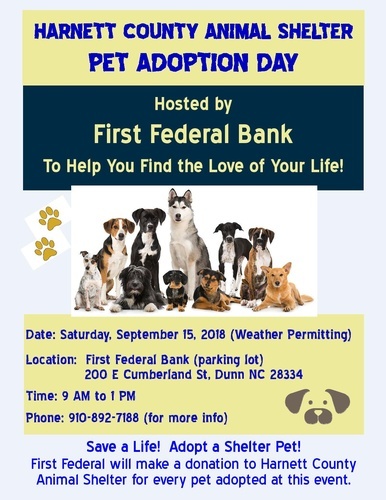 First Federal will make a donation to Harnett County Animal Shelter for every pet adopted at this event. Free to attend - Adoption Fees apply to pets.